According to a report from one of the country’s leading brokerages, Canadian residential real estate markets saw a 13.0 per cent year-over-year increase (up to $558,153) in Q4 2016—the greatest such appreciation in over a decade. Royal LePage announced in its latest National House Price Composite that the average sale price of two-storey homes nationwide grew by 14.3 per cent over the same timeframe, up to $661,730. Meanwhile, the average price of condominiums rose by 7.4 per cent, up to $356,307. In the same report, the brokerage predicted that aggregate home prices across the country will increase by 2.8 per cent in 2017 when compared to the levels at the end of 2016. However, the Vancouver market should brace itself for a possible home price correction this year. 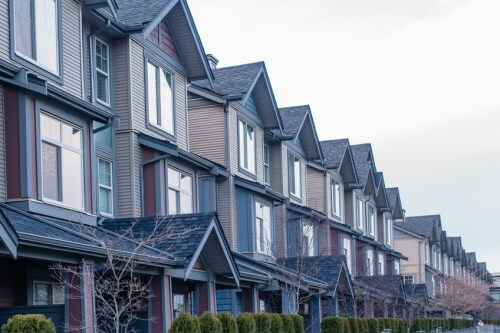 “Eroding affordability in B.C.’s Lower Mainland has reached unsustainable ground. This, coupled with recently introduced public policy measures and lower sales volumes, has put visible downward pressure on home prices,” Royal LePage president and CEO Phil Soper stated. On the other hand, the Greater Toronto Area saw a 16.1 per cent year-over-year increase in Q4 2016, and Soper warned that this pace of growth will not end any time soon. Gradual upward trends in Quebec, Atlantic Canada, and Alberta home prices will help greatly in offsetting the sharp performance disparities between regions, Soper assured.